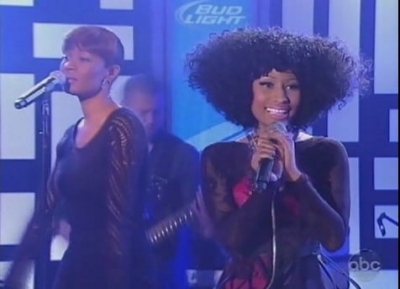 At the beginning of last week I posted a video of Nicki Minaj performing on Letterman. I was not particularly impressed with the performance because it was lacking the personality that we have grown to love from Nicki. While ‘Right Thru Me’ is a more personal song that her others that doesn’t mean her performance should lack life.